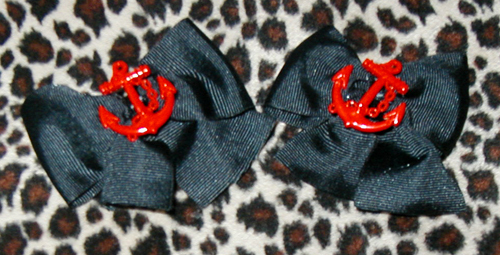 Cute red anchors rest atop bows on metal barrettes. Bows are available in black, white or navy blue! Exact size and texture of bows may vary slightly.